The other week I was back in the Middle East, firstly to Doha for a Hackett shop opening and then on to Dubai for British Polo Day. 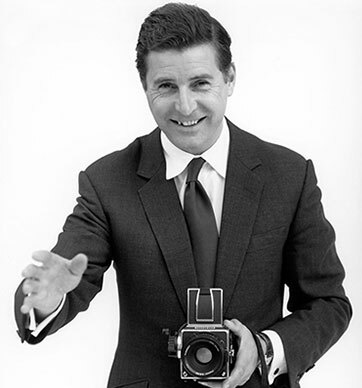 It was an impressive opening, which included the presence of The British Ambassador, Nicholas Hopton who wondered whether I remembered him as we had met many years ago at our first shop in Fulham and he reminded me that he had modelled for Hackett's first advertising campaign. It made me think that in future when submitting a CV that included Eton, Oxford and the Guards whether Hackett would now join that illustrious list as it obviously worked for Mr Hopton! Whilst Doha is not on the same scale as Dubai it still boasts some extraordinary skyscrapers, a building that had the appearance of a bullet was particularly striking. 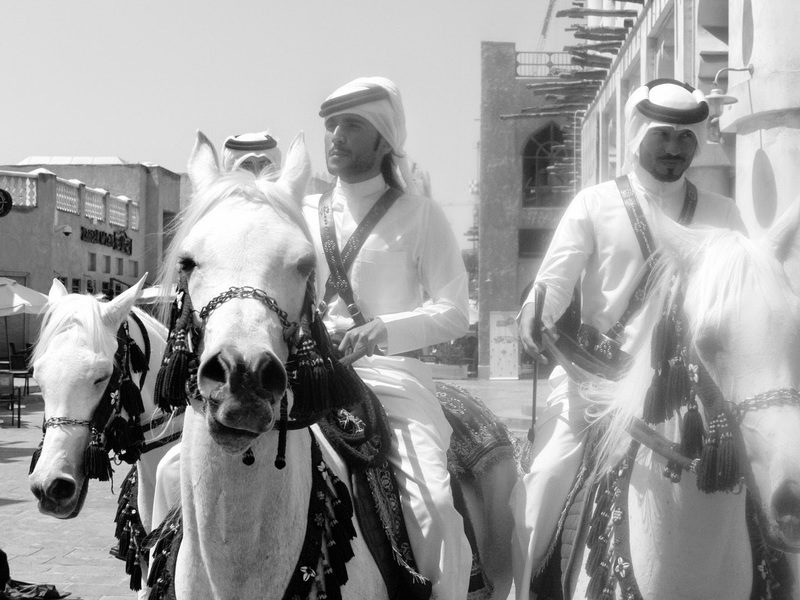 Although Doha is a relatively new city it is not all about skyscrapers and every effort has been made to create an environment that acknowledges it's heritage and despite the fact that the old souk is a mere eight years old they have managed to instil the magic of Arabia, the police dressed in traditional robes on Arab stallions all adding to the mystique. The next morning I flew Qatar Airlines to Dubai and discovered that I had been upgraded to first class and sitting in the lounge feeling very privileged I noticed four couples quaffing Champagne, well it was 8.30am, the ladies were all carrying large hat boxes so presumably they were off to watch the Dubai Gold Cup taking place the next day. The group became increasingly merry and whilst we waited on the Tarmac for them to arrive, which they did eventually, I couldn't help but think how typically British. No sooner than I had arrived in Dubai than I was whisked off to the Polo by Range Rover the main sponsor of BPD. It was my second visit to the Dubai Polo Club and it was as beautifully arranged day as I last remember. I was introduced to HH Sheik Shakboot Bin Nahyan al Nahyan who invited me to join him at the Abu Dhabi Polo next year, it's now in the diary. With a fair amount of Brits in attendance it was good to see so many young men dressed in Hackett. I was asked to present a prize for the best dressed Gentleman I chose a chap who was dressed head to toe in Hackett (well, not quite head to toe I think his shoes were by Harry's) Off to Barcelona in the morning for an event at our new shop there. I shall try and visit a shop in the old port where they make hand made espadrilles. 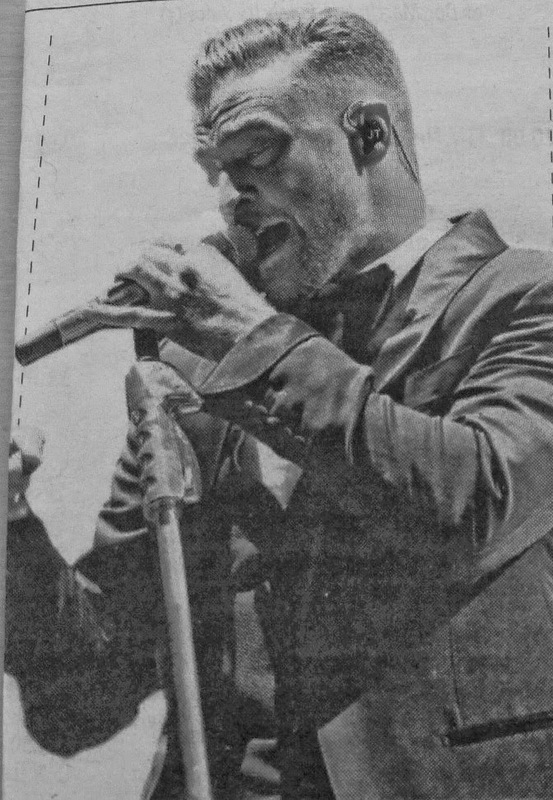 Reading a glowing review in the Times the other day about Justin Timberlake's recent gig in London, I couldn't help but notice that in the accompanying photograph, his dinner jacket featured turn-back cuffs. A style that was popular in the early 1960s amongst the more raffish of British society. The review suggested that Timberlake is in the mould of Frank Sinatra so I wonder whether he knows that Sinatra's tailor, Cyril Castle was one of the tailors who was instrumental in making this feature popular. I have added turn- back cuffs to many of my suits over the years because for me, it is a way of making an otherwise dull grey suit that little bit more individual. Like Timberlake, I have turned back cuffs on my dinner jacket - I just wish I could sing as well.